I hope you've all had a fabulous week so far. One of the most beautiful websites I've ever come across, The Alternative Wife. 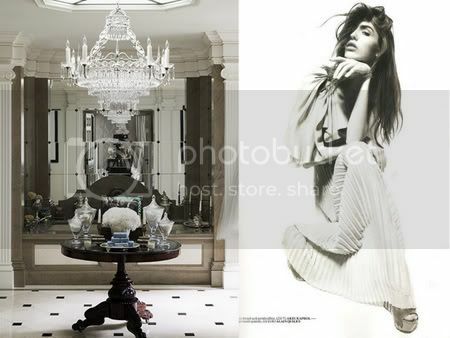 If you want high fashion fabulous photography, Carter Smith is your destination. It's all black and white right? Life is simple and fabulous, it's a black and white canvas which we choose to fill with brilliant colour splashes. In terms of a stylish canvas with which to base our personalities, these two images are beyond beautiful. Utterly perfect. Pssst a little sneak peak!